Posted on 18, January 2019 by EuropaWire PR Editors | This entry was posted in Internet & Online, Management, Society, Technology and tagged healthy habits at work, HR, Julie McGann, Kevin Rogers, Manchester, Patricia Keating, Paycare, Unicorn and Co, wellbeing, wellness, work, workplace. Bookmark the permalink. MANCHESTER, 18-Jan-2019 — /EuropaWire/ — A Manchester HR and wellbeing expert is launching a new digital platform to help busy professionals have more energy and focus, and feel less stressed. The UPGRADE-U platform, created by wellbeing event provider Unicorn and Co, offers daily access to critical tools, techniques and experts that help organisations and their people develop new healthy habits at work, adjusting routines to improve their overall working environment. Demand for more regular access to programmes and workshops prompted the company to develop a subscription-based digital platform enabling businesses to offer wellbeing activities to their team at any time, from any device. UPGRADE-U is launching this month and businesses are invited to sign up now for a pilot. Patricia Keating, Director of Tech Manchester, said: “It’s fantastic to see Unicorn and Co’s progression over the last 15 months. Julie initially joined Tech Manchester through our first intake on the mentor programme before attending several of the business skills workshops in the Tech Class series. McGann said: “Even ten years ago it was easy to foresee wellbeing becoming an important part of any business strategy. Now this thinking is mainstream and it makes sense when you see how improved workplace wellbeing reduces absence and helps people perform better. 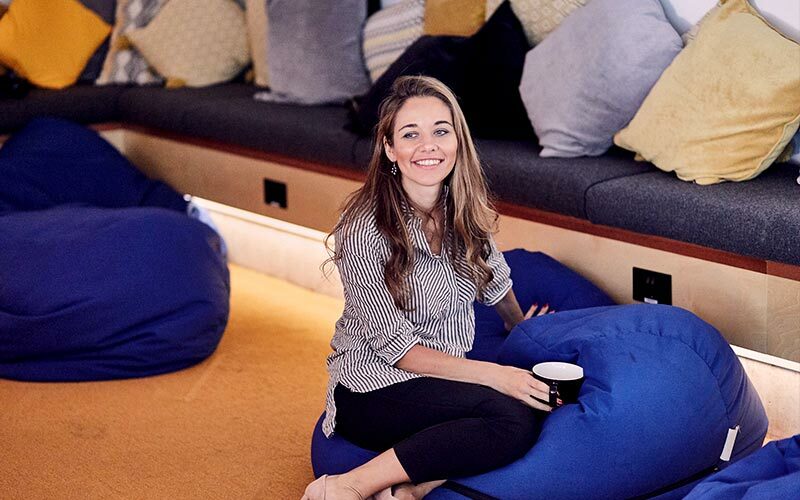 “At Unicorn and Co we are focused on helping people to recognise and deal with stress and creating more positive working cultures, where people understand the importance of building trusted connections. “Monthly face-to-face wellness events and workshops alone are not always enough to deliver a sustainable change to employee behaviour. Developing a digital version of our content ensures our customers have ongoing access to the authentic content delivered by trusted wellbeing experts in the form of bite-size learning and interactive challenges. Before launching the new platform, Unicorn and Co delivered face-to-face wellness events for large organisations including Sony, British Transport Police, Paycare and Balfour Beatty. Unicorn and Co joined Tech Manchester for tips and guidance on delivering the digital platform. Tech Manchester is a not-for-profit organisation, funded by UKFast, which supports the development of hundreds of early-stage tech companies in the region.